I heart Pinterest. I totally do. 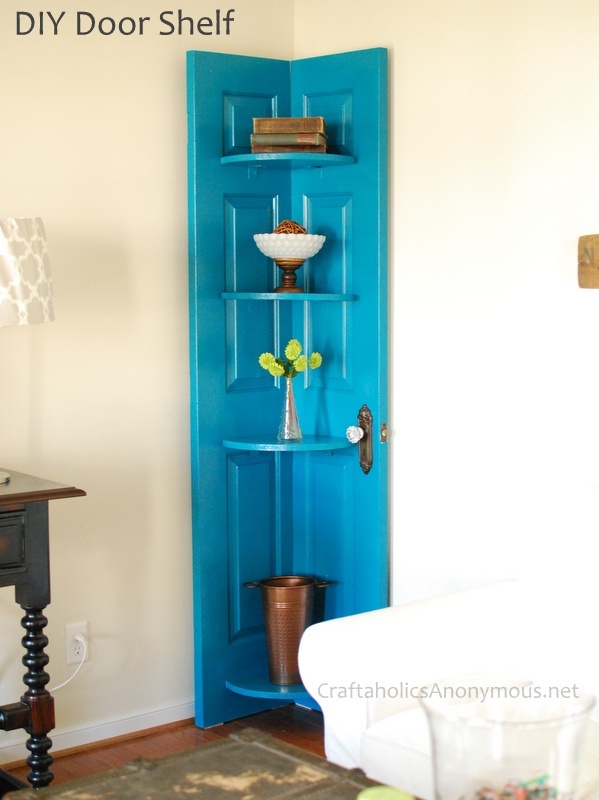 One of the first “wow, cool!” things I saw on Pinterest was this clever door turned into a corner bookshelf. 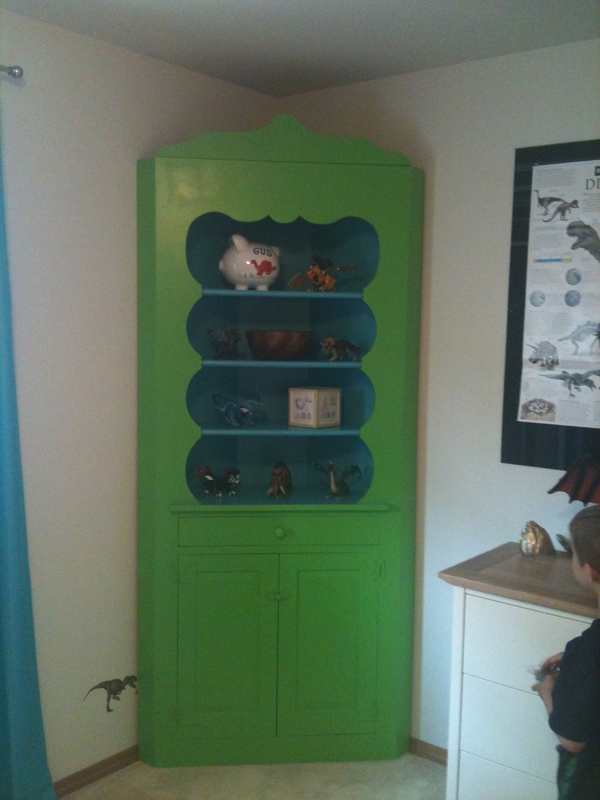 I liked the whimsy and the fun color and thought it would look great in my kids’ rooms. Yes, not just one – but two of these! The seller had removed them from an old 20s era house that they moved out of. She wanted to reuse them in their new home but couldn’t find the right spot. So I got them for a song. They were pretty beat up but I didn’t really care since I was planning to paint them anyway. 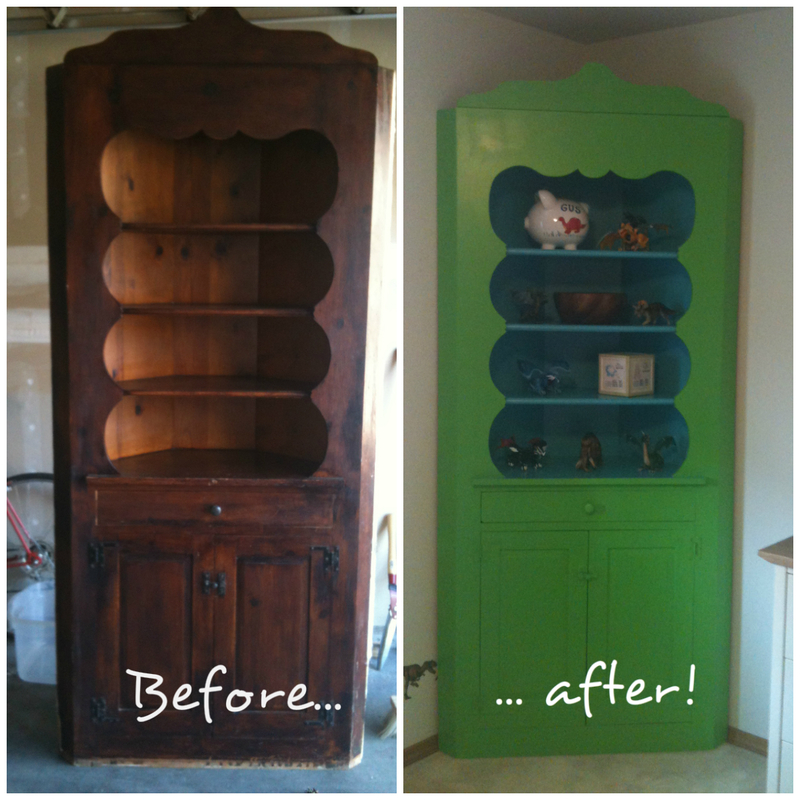 This was my first furniture painting project so I consulted with two pros on the topic – my parents. 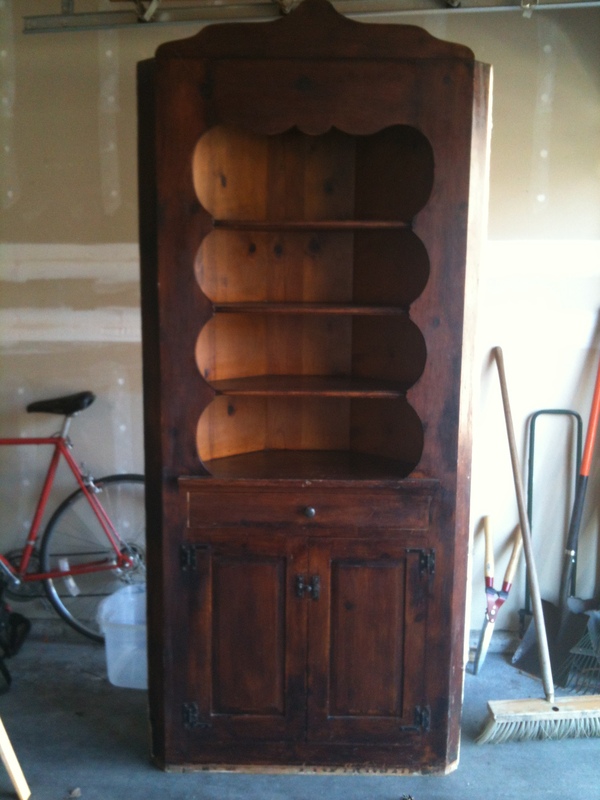 =) My dad is a woodworker and my mom has refinished many an antique, so I figured they would know what to do. My dad thought that the old finish would come off easily with denatured alcohol. So I bought a couple containers of it (and a LOT of rags) and some disposable gloves and went to town. I tackled the bookshelves one at a time. My hubby put them on sawhorses for me to make it easier to paint them. We set the whole thing up in the garage so I could open the door and get a lot of ventilation. I found the best technique was to pour the denatured alcohol right on the surface, wait a few seconds, and wipe it off. Doing this made the old finish come off pretty easily, and much quicker than trying to rub it off. Once all the old finish was off, I sanded the surface lightly and applied one coat of oil-based primer. So cute! Especially filled with dinosaurs and dragons. We’ve lived with this piece (and the one in Emma’s room, which is pink and turquoise) for a few years, and no dings to the paint. Previous post ← Drumroll please… Kitchen reveal!